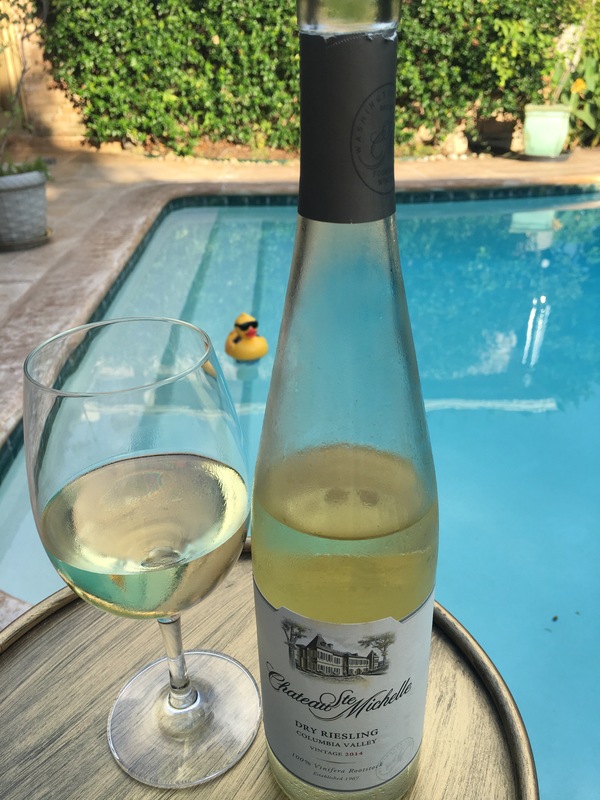 Riesling by the pool. 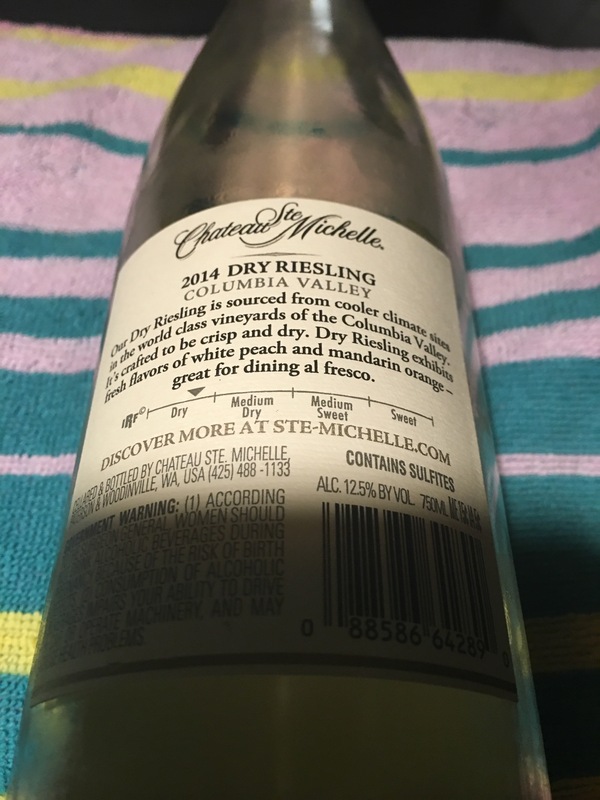 Chateau St. Michelle DRY RIESLING. Columbia Valley 2014. Oh how I love a racy dry Riesling. If it was a color, it would’ve Pull-Me-Over-Red except for the fact it’s white. Bold, Racy, Thrilling White. Flavors of juicy white peach, sweet orange and springtime lemon tree flowers. KA-POW!! $12ish. Available at the Big Box stores! !